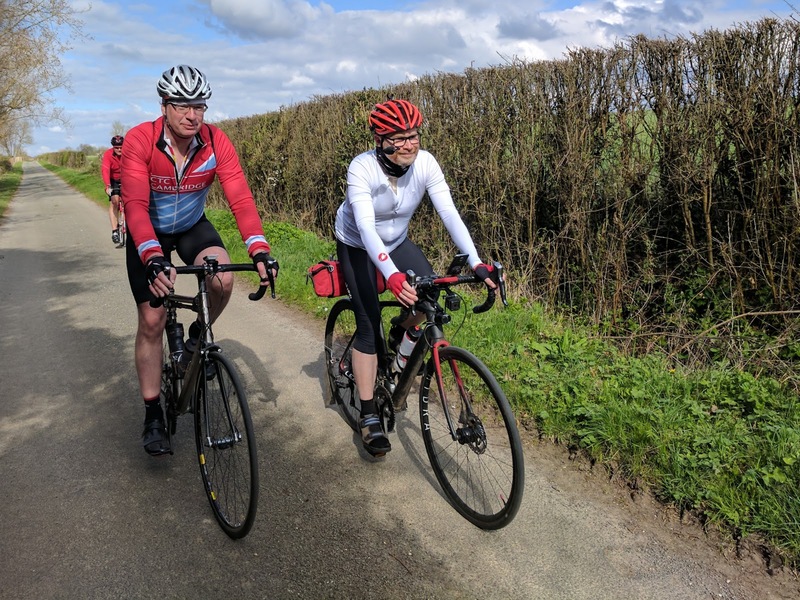 Nigel writes: Today was a perfect spring day, with mild temperatures and plenty of sunshine for the whole day: excellent weather for our first full-length Sunday ride of the summer season. 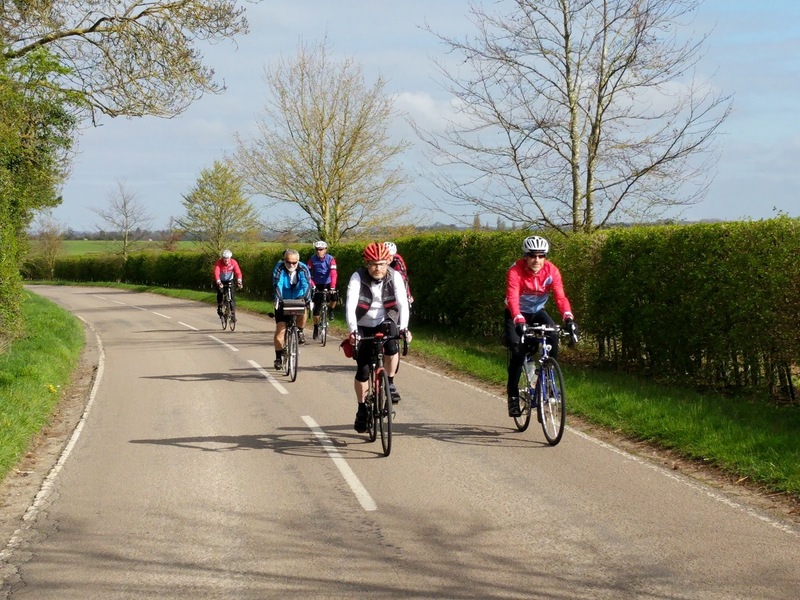 Our leader today was Alex, with six others joining him for the first stage of today's ride. Following last week's change to summer time, our Sunday rides now start at 9am, so we had plenty of time to ride the short distance from Cambridge to our coffee stop in Saffron Walden. 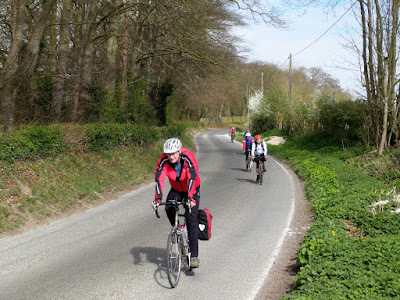 This allowed Alex to add a few extra miles - and a few extra climbs - along the way. 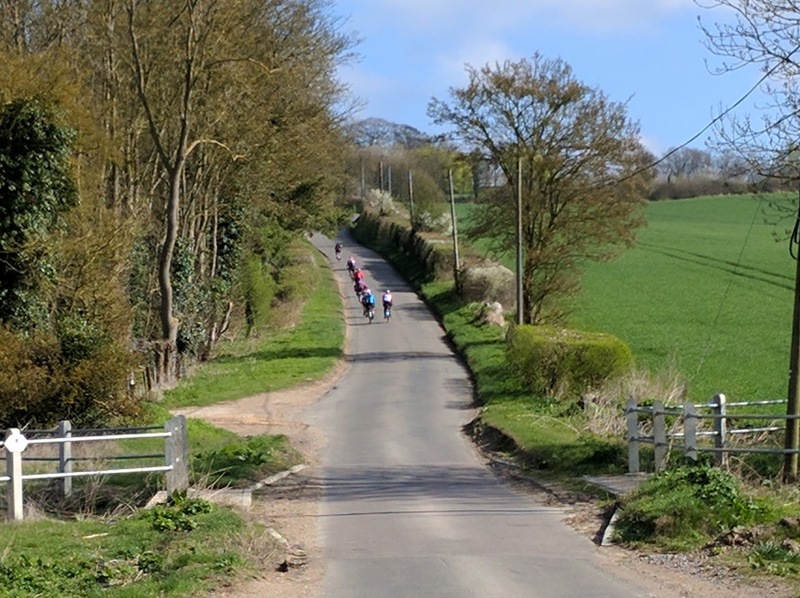 Our first climb was from Chrishall Grange up to Elmdon, which was followed by an enjoyably fast descent down to Wenden Lofts. 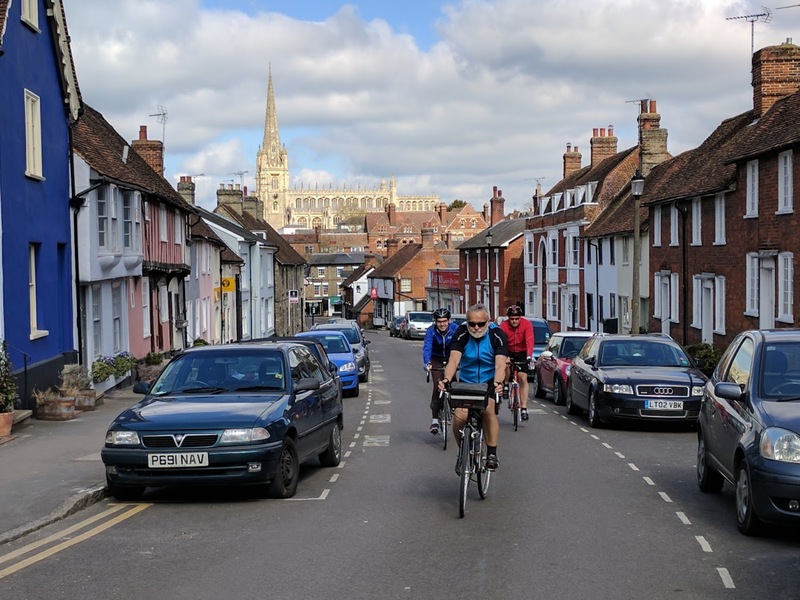 From Wenden Lofts the B1039 runs directly to Saffron Walden, so when we approached the turn for Littlebury Green several of us were surprised to see Alex signalling a left turn to Littlebury Green, which is reached after a short but fairly steep climb. (I think Alex just wanted to confirm that his legs were still working after a long Audax ride yesterday). 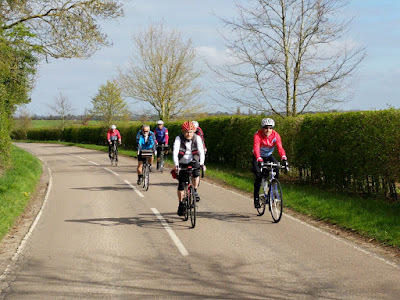 After Littlebury Green we cruised down Chestnut Avenue to Audley End house, after which a short final climb brought us into Saffron Walden. We stopped for coffee at Bicicletta Coffee. 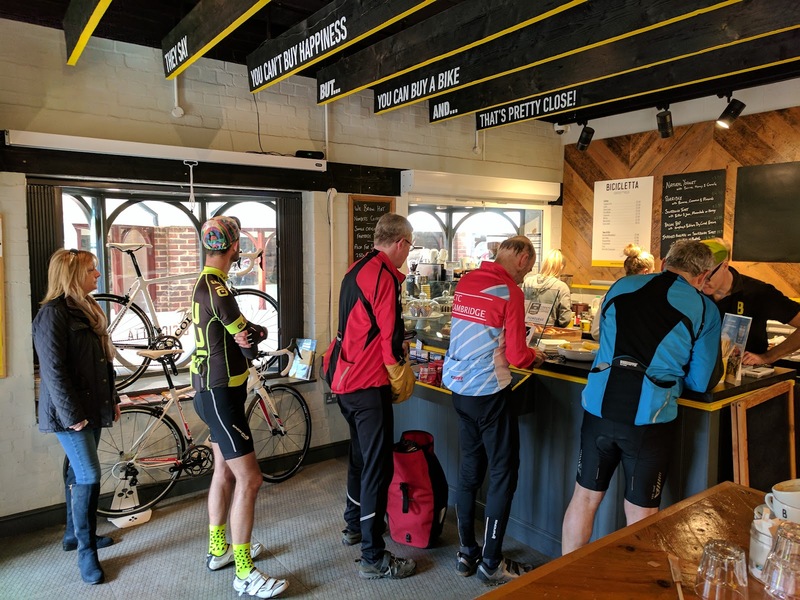 This is a great place to visit, but it is always very busy at 11am on a Sunday morning, and although we had no trouble finding a free table the staff were clearly a bit overwhelmed today and one or two of us had to wait rather a long time for their food and drink. 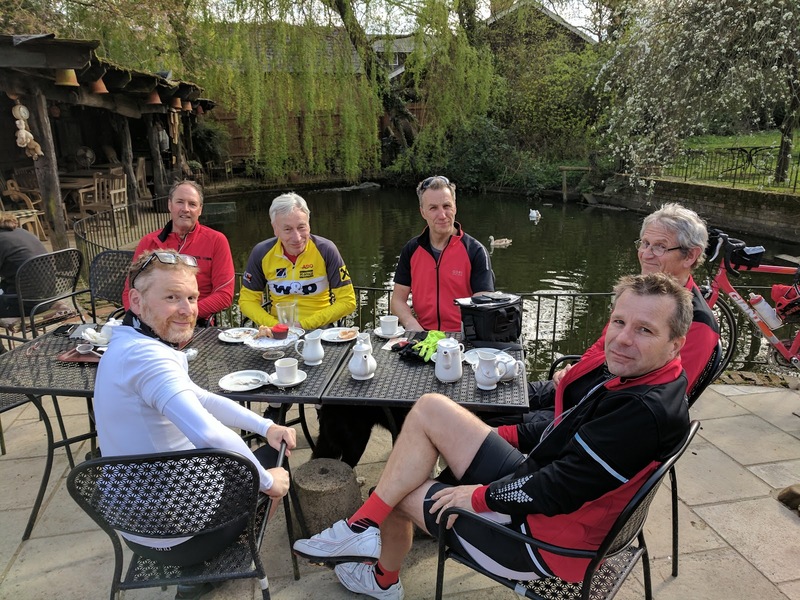 After coffee we regrouped, with some riders heading home and some joining us, leaving a slightly different group of six to carry on to lunch (plus Adrian who was making his own way there). 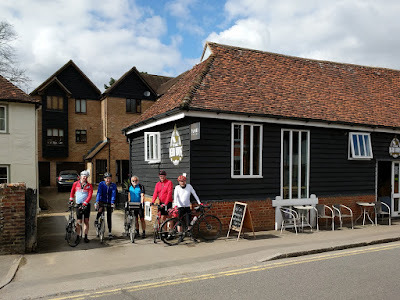 Our lunch stop was The Bean House in Stansted Mountfitchet. This is a fairly recent discovery by the club, and this was my first visit. By all accounts the food was very good. 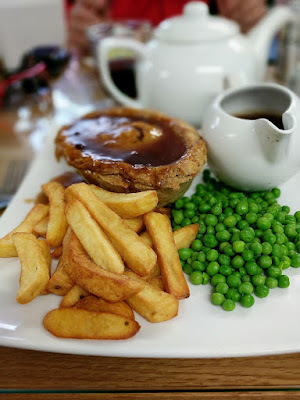 My own steak pie was huge and full of beef: I was particularly impressed by the fact that it was a real pie, with a proper pastry base, rather than just a ceramic pot with a pastry lid as is so often the case. 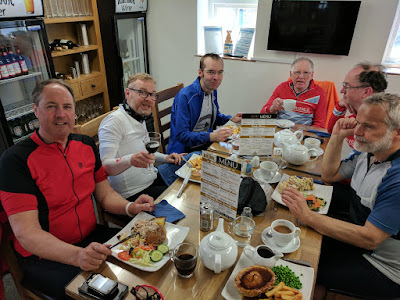 Today's ride was described as a "full day ride", our first of the year. This means that we had a third food stop to visit before heading home. This was in Hare Street, and to get there Alex took us along a sequence of quiet lanes that I can't remember having visited before. We reached Hare Street at 4pm and stopped for tea at The Old Swan Tea Shop. Here we found Simon G and half a dozen riders from our Sunday afternoon ride who had left Cambridge at 1pm.